Daniel Siedell is one of the very best writers working at the intersection of theology and art today. 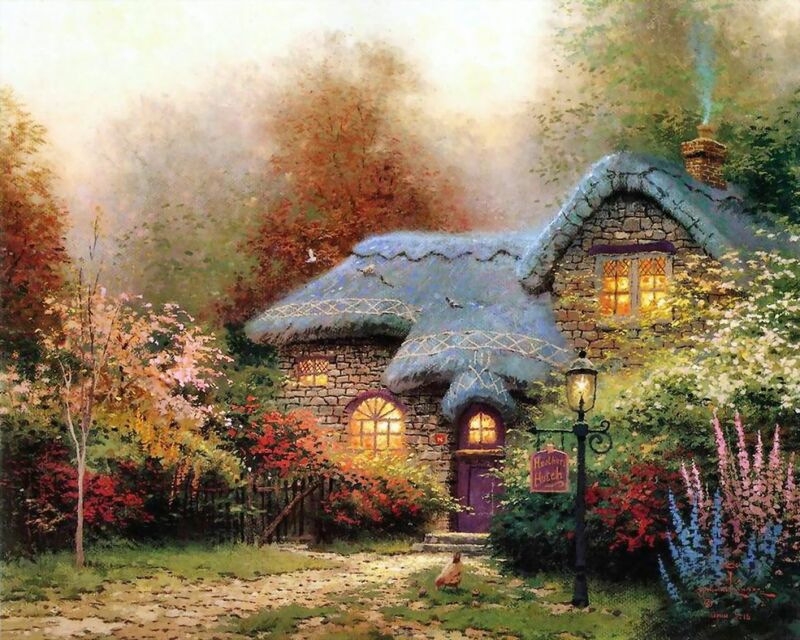 His recent piece on the “Dark Light of Thomas Kinkade” is brilliant – click here to read it over at Patheos (the new home of the Image magazine Good Letters blog!). Here’s a small excerpt. I love the Batman reference. Kinkade’s work is the meticulously painted smile on the Joker’s disfigured face. It refuses to deal with the fallenness, brokenness, sinfulness of the world. And more troubling, it enables his clientele to escape into an imaginary world where things can be pretty good, as long as we have our faith, our family values, and a visual imagery that re-affirms all this at the office and at home. That Kinkade and his followers believe this to be “Christian art” is an affront to art, which time and again offers us grace… this occurs because painters, poets, musicians, and writers probe the depths of human suffering and brokenness, and in that black pit, a flickering light can often be found. Some artists might give us only the black pit. But that is at times enough.